Oil Barrels. Photo: Remco van der meer via Creative Commons. 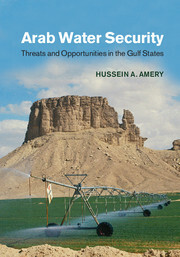 Dr Hussein A. Amery, author of Arab Water Security: Threats and Opportunities in the Gulf States (2015) explores the hydrological benefits of low oil prices. The central governments of the Arab Gulf states have been important underwriters of the riches that their people enjoy, expect, and have become accustomed to. These governments do not levy income taxes; they directly and indirectly subsidize certain goods and services; the agricultural sector enjoys generous handouts. These governments are also the premier employers of their citizens and often pay them higher salaries than the market rate whilst offering extensive, ‘cradle to grave’ social benefits. Although these subsidies have helped in “keeping prices ultra-low in an effort to maintain social peace” in the Gulf states (Carvalho 2015), they have also induced wasteful consumption of water and energy. From the perspective of sustainable water management and water conservation, the current low oil prices may turn out to be a blessing in disguise. Gulf governments provide their citizens with water and energy at either heavily subsidized prices or for free. The recent precipitous drop in oil prices is draining the coffers of these governments. Lower prices, which started in the fall of 2014, are forecasted to continue for a few more years. This new reality is gradually forcing hydro-carbon rich Gulf governments to consider economic reforms that they have long avoided. They are introducing measures that would make up for some of the lost revenues. Some governments are eliminating “nonessential spending”, while others are increasing gas prices (Bahrain and UAE), and levying fees on select services that had long been provided at no cost. Kuwait increased the price of diesel and kerosene. In other words, governments want to boost their revenue stream by targeting select industries and fuel-types, a measure that would spare the majority of the population which would ensure social peace. The decades-long status quo bias of governments is now being scrutinized like never before. They have always considered the harm that would come with lifting the subsidy system to be much larger than its benefits. The kingdom of Bahrain uses the block tariff structure and subsidizes even high water consumers (using more than 100 m3/month) who pay less than 30 percent of the cost of their domestic water consumption. It may repeal subsidies for commercial and industrial customers, but tariffs for domestic customers will be unchanged (Al Zubari, 2015). Municipal water subsidy cost the government US$120 million in 2006, and about US$326 million in 2013 (Al Zubari, 2015). Last year, the Saudi minister of water and electricity, Abdullah Al-Hussayen said that in his country a person pays an average of $53 a month for a cell phone, while “the average monthly water bill of less than $0.27” (Lahn, 2014; Al Zubari, 2015). A few weeks ago, Mohammed bin Salman, the deputy crown prince, identified the kingdom’s “over-dependence on oil and the way we prepare and spend our budgets” as “key challenges”. He added that he wants “to reduce subsidies to wealthy Saudis, who won’t get cheap gas, electricity or water anymore, possibly establish a value-added tax” (Friedman, 2015). Statements like this leave an impression of a pragmatic government that is taking rational policy responses to the financial challenges facing it. The social and political reality in the Gulf states is more complex than one is led to believe; it favors the status quo, a safer terrain in which to operate. Gulf monarchies have a paternal predisposition to governance. Sometimes, ordinary Saudi and media personalities in the kingdom would affectionately refer King Abdullah bin Abdulaziz as “Abu Muteb” (the father, Abu, of his eldest son, Mutab), as if he is one of them, and would call King Salman, his successor, as “Abu Fahad”. Gulf rulers cast themselves as father-figures to the public who in turn hold them responsible for the well-being of “their family members”. The official Saudi Arabian position is that the low oil and water prices that citizens pay are not subsidies. The kingdom’s Oil Minister, Ali al-Naimi, framed the issue as the government “assisting” the “people in their livelihood” and said that it cannot be considered a subsidy. The government will take away this assistance only if it is in “dire need” and it is not currently “in such dire need” (Reuters, 2014). Jamal Khashoggi, a prominent news columnist and former adviser to Saudi Prince Turki al-Faisal defended the continuation of subsidies by saying that “There’s a long list of things that Saudi officials can do before touching the livelihood of ordinary Saudis”. Needless to say, bankers don’t see subsidies in the same light (Nereim and Abu-Nasr 2015). Weaning the people off the comforts of governmental services require reorienting their predisposition, and a “re-writing” of the implicit, decades-old social contract. Although it is a delicate task, some Gulf states have started this journey with few preliminary subsidy-reductions, policies that they will gradually scale up. Low oil prices offer an opportune time to take an important step towards more sustainable water management policies. Al Zubari, Waleed K (2015). The Costs of Municipal Water Supply in the GCC Countries; Case Study: The Kingdom of Bahrain. ACWUA Third Arab Water Week, 11-13 January, 2015, Dead Sea, Jordan.